This is recommended for custom orders if you want to see the exact layout of your product before it is made. We will not replace your item if you are unhappy with the layout or fonts. If you choose not to, your item will be made in the style of the listing shown. Be sure to check all information given to us! 1 proof/1 sided item: For products with a one sided engraving, purchase quantity of 1 with this option per item if needed. 1 proof/2 sided item: For products with an additional back engraving, purchase quantity of 1 with this option per item if needed. 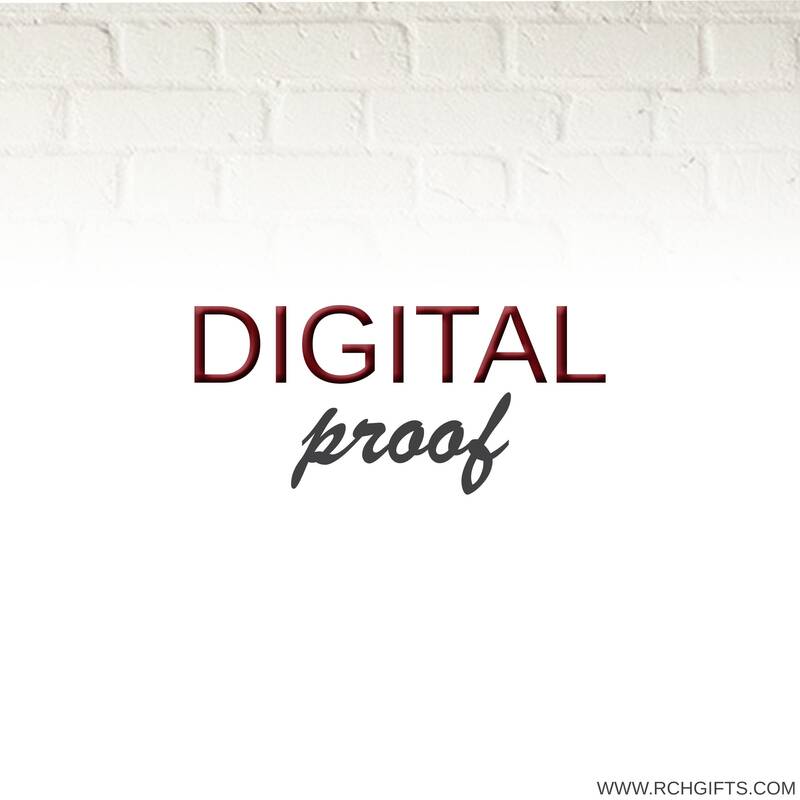 1 proof pre purchase: For a proof BEOFRE you purchase the item, purchase quantity of 1 with this option per item if needed. IMPORTANT: This is for ONE file per item WITH your order. We will send your file within 24-48 hours. If we don't hear back from you in 2 days we will assume no changes are to be made and proceed with your order. Always wonderful working with you. Exactly as described. Very quick turn around.